The word “orchestra” originated in ancient Greece to name the space between the main stage and the audience in which the chorus and the instrumentalists were positioned. It literally means “a dancing place”. Bridgetown Orchestra is that dancing place of creativity. It brings a unique perspective to its classical roots by bridging multiple genres and creative disciplines with original works. Using music, theater, dance, poetry, projections, and interactive installations this unconventional orchestra creates one-of-a-kind experiences that have something to say. From installation works to immersive multimedia performances, the group’s projects are designed to reflect a changing cultural landscape. The roster of artists depends entirely on the project at hand and the collective identity of the ensemble as an ‘orchestra’ is not exclusively for instrumentalists. Bridgetown Orchestra typically unites musicians, composers, programmers, technologists, scenic designers, lighting designers, audio designers, dancers, singers, and actors, among others. The lines between art forms are blurring and the landscape of the digital world is not going away. It is time for an old tradition to merge with this new landscape in order to shape a new path forward. Bridgetown Orchestra follows that mystery where it leads them. Tylor earned his masters of music from Manhattan School of Music and his bachelors of music from Boston University. 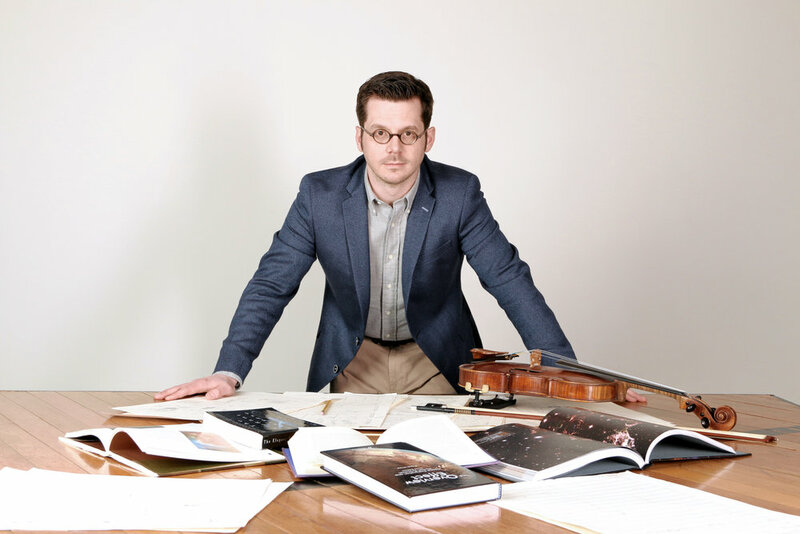 He studied violin with Midori; Mitchell Stern, a former first violinist for the American Quartet; and Bayla Keyes, a founding member of the Muir Quartet. He was also fortunate to study chamber music with members of the Muir, Juilliard, Emerson, and American String Quartets. Tylor has played with the Oregon Symphony, Portland Opera, Oregon Ballet Theatre, Eugene Symphony, Spokane Symphony, NW New Music, Filmusik, and Opera Theater Oregon. He is a member of the piano trio ThreePlay and the artistic director of Bridgetown Orchestra. As a composer, his most recent projects include commissions for the theater scores Lear (a violin looping score) and Kabuki Titus (a kabuki adaptation of Titus Andronicus). He was also the 2014 winner of Fear No Music’s Locally Sourced Sounds for his piece Unfolding (for string quartet and looping pedals). Overview Effect, an immersive musical and theatrical journey through the cosmos, premiered at the Armory in Portland in April 2016.